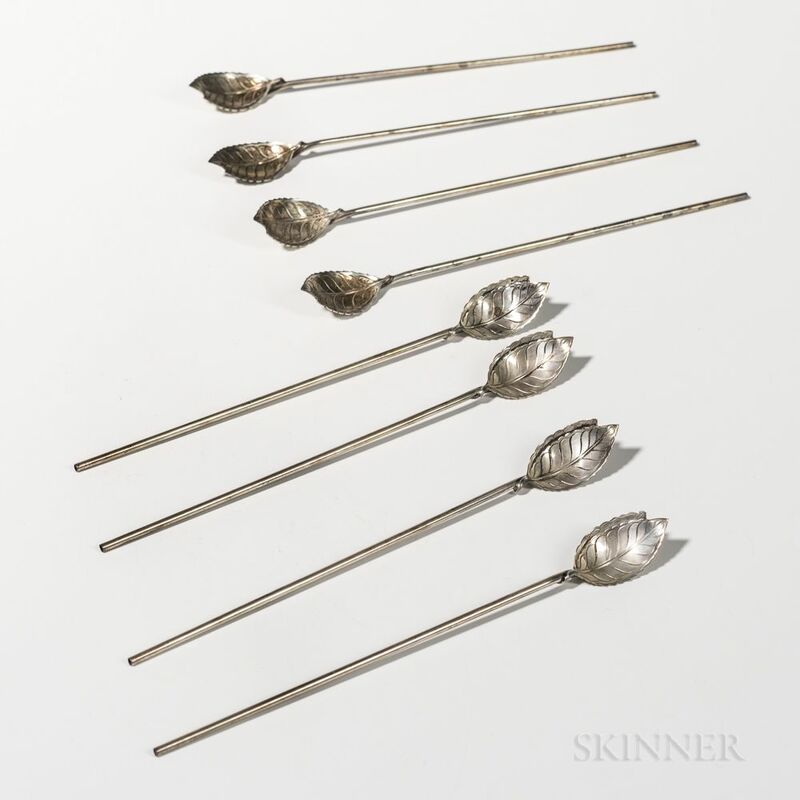 Eight Tiffany & Co. Sterling Silver Julep Spoons, New York, 20th century, each with a straw stem and leaf-form bowl, lg. 8 1/4 in., approx. 3.0 troy oz.